Were you getting results on your last Listing?...if You were with another Agency. Or is this your first time You want to Sell Your Home? Many Lake Norman Real Estate for Sale Owners are in need of selling their home as quick as possible. The market is competitive and the inventory is high. What you are going to need the most is Exposure. 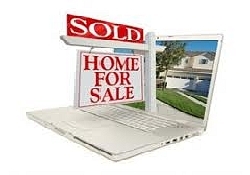 As you may know, the #1 way that Home Buyers of Lake Norman Real Estate for Sale is through the Internet. It is no longer from Print Ads or Open Houses. The traffic you need is through the web…Google, Yahoo, Bing, etc. The Martin Real Estate Team owns and operates 10 Real Estate Websites, 3 IDX Pages and other Internet Marketing websites dedicated to Real Estate. We have created over 10,00 Web Pages and Blogs about real estate in the surrounding Lake Norman Towns and Lake Norman Subdivisions. If you were to Google just about any Subdivision or Topic in the area, you will see our work all over the first 3-4 pages of results. 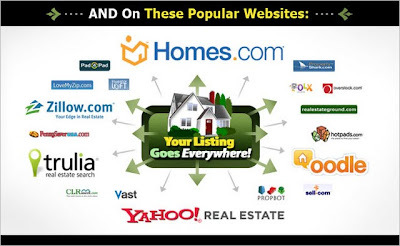 Not only that, but our Team is set up that any listing we have is automatically entered into every major Real Estate Website; such as, Trulia.com, Realtor.com, Hotpads, Zillow.com, Homes.com etc. We Advertise Your Listing - Like NO Company can!!! All of the information below brings in over 10,000 viewers/month. Call: Kevin Martin - Listing Agent / Internet Marketing Mgr. We specialize in the Lake Norman Towns of: Cornelius, Huntersville, Davidson, Mooresville, Denver, Sherrills Ford, Terrell and Troutman, NC. The Martin Real Estate Team has their own Internet Marketing Manager, Kevin Martin. He is a Realtor himself, but his sole job it to handle all Internet Marketing for the Team and work on Lead Generation for the business. 3. You will have a specific webpage listing in www.MartinRealEstateTeam.com, www.ExploreLakeNorman.com and Active Rain. 4. Virtual Tour of your Home to be displayed on Webpages that fit your criteria. Such as: "Cornelius, NC Homes for Sale" or "Cornelius, NC Waterfront Homes" (see Sitemap for a rundown) with links attached that will send them to your Home Listing. 5. All Martin Team & Southern Homes of the Carolinas Home listings have top placement on all Search results above the competition. 1. We Subscribe to Realtor.com Home Showcase – giving you added attention in one of the most popular Real Estate Websites in the Country. 3. Bi-Weekly Updates can be sent to you of A) what is for sale in your area (B) What is selling in your Area (C) What price range in your area that people are looking at the most when scheduling their home showings with their Realtor.